A delegation of students from Our Lady of Mount Carmel Senior High School paid a visit to the University of Ghana Business School on Thursday, 8th November, 2018. The purpose of the visit was to familiarise with the Business School and get firsthand information on admissions. The Department of Public Administration and Health Services Management, in line with the requirements of the PhD programme, held oral presentations on the 14th of November, 2018 at the Executive Hall and A2 Lecture Hall concurrently, for its year two PhD students. A total of 11 students presented their articles to a panel of lecturers comprising Prof. Kwame Ameyaw Domfeh (Chairman), Prof. Emmanuel Kojo Sakyi, Dr. Albert Ahenkan, Dr. Gorden Abekah-Nkrumah, Dr. Lily Yarney, Dr. Richardson Azunu, Dr. Francis Anderson Adzei, Dr. Nana Nimo Appiah-Agyekum, and Dr. Roger A. Atinga. 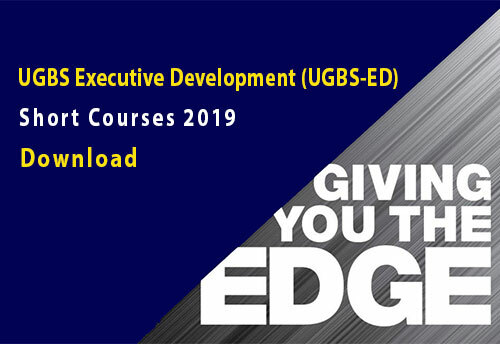 The Department of Marketing and Entrepreneurship of The University of Ghana Business School and the School of Graduate Studies on Tuesday, 4th December, 2018 held a PhD thesis presentation for Mr. Maapa Kwame Quansah. 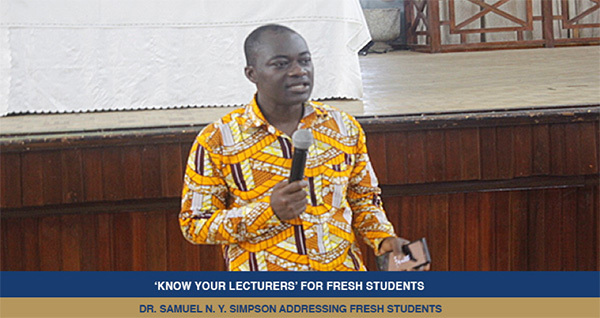 The Acting Dean of Student Affairs, Professor Godfred Bokpin, together with the Head of Department for Accounting of the University of Ghana Business School, Dr. Samuel Nana Yaw Simpson, organised an event dubbed ‘Know Your Lecturers’ for fresh students on Wednesday, 31st October, 2018.